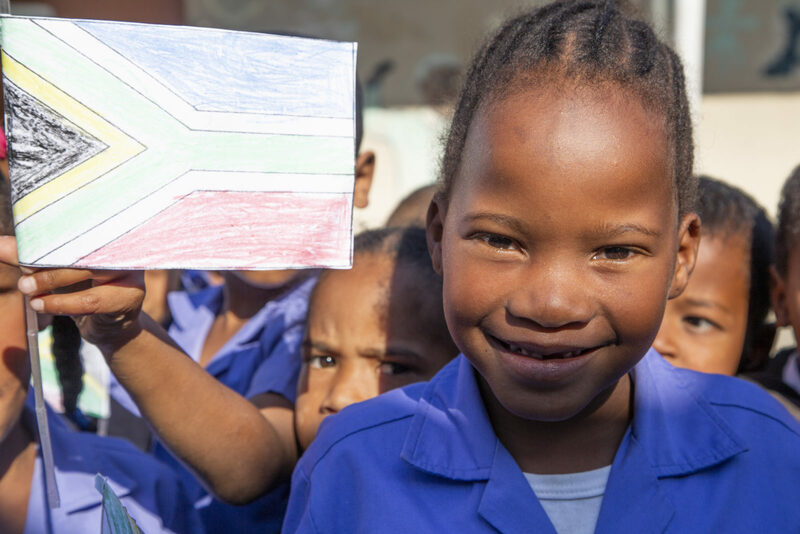 A learner holds up a flag for Mandela Day at Uitsig Primary. 18 July 2018. All Photos: Leila Dougan. 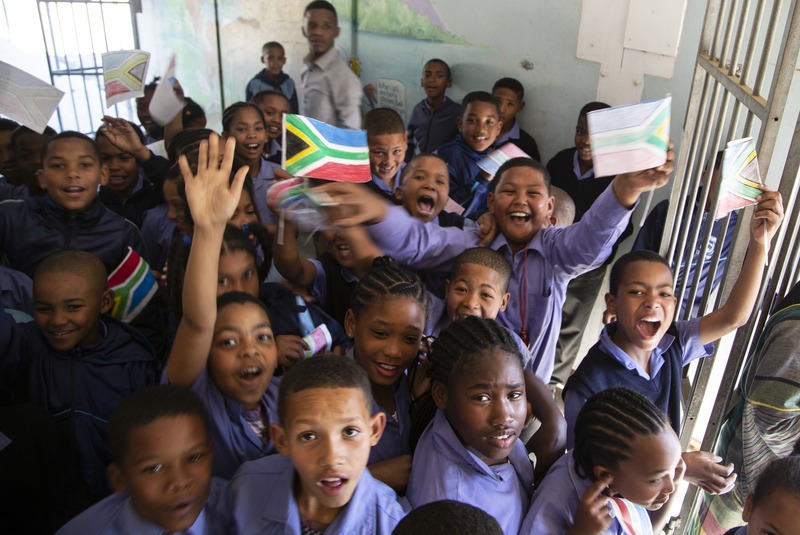 Mandela Day was ever-present on Wednesday in South Africa. In Cape Town, Mayor Patricia de Lille visited Uitsig Primary School. She spent her 67 minutes painting a container that was donated by The City of Cape Town and that will be used as a library at the primary school. According to the online portal Wazimap, based on information from the 2011 Census, the ward into which the school falls has an unemployment rate of over 48%. 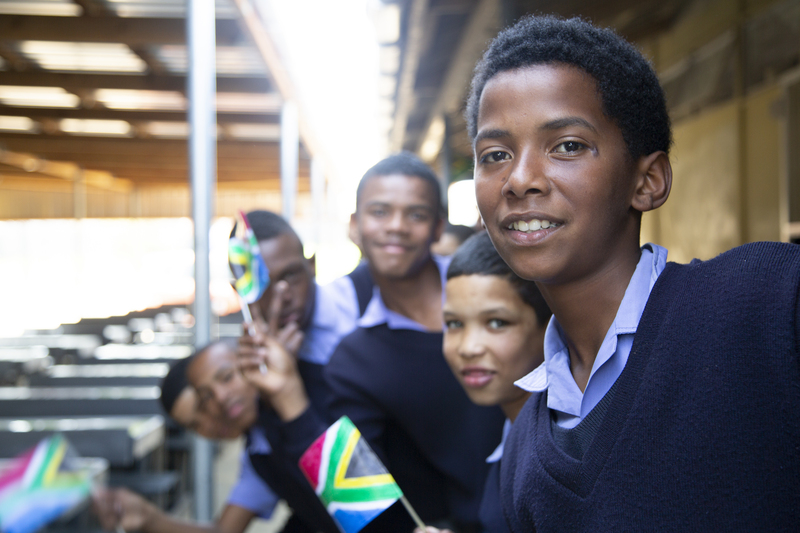 The annual average income is R57,500, which translates to about R4,700 per month and only 40% of the community have completed matric. 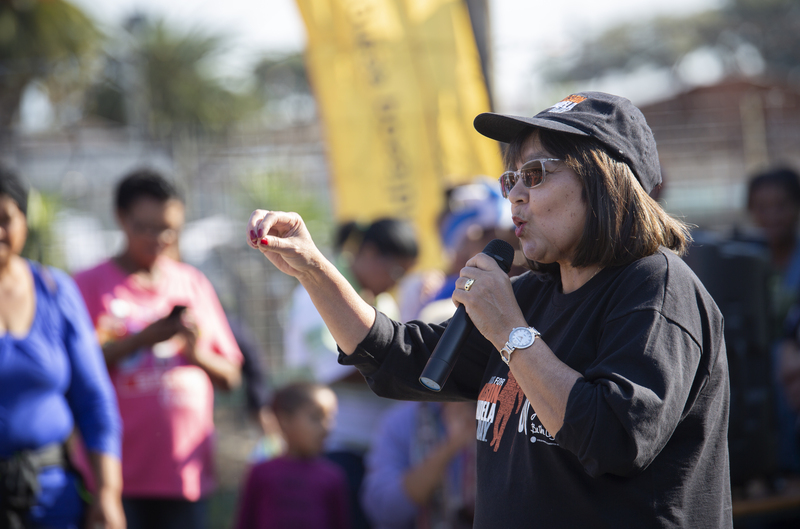 De Lille addressed hundreds of children and community members in Afrikaans saying that even though the environment in the Uitsig community is not ideal, those in the community who want a quiet spot to read should be given an opportunity to do so. 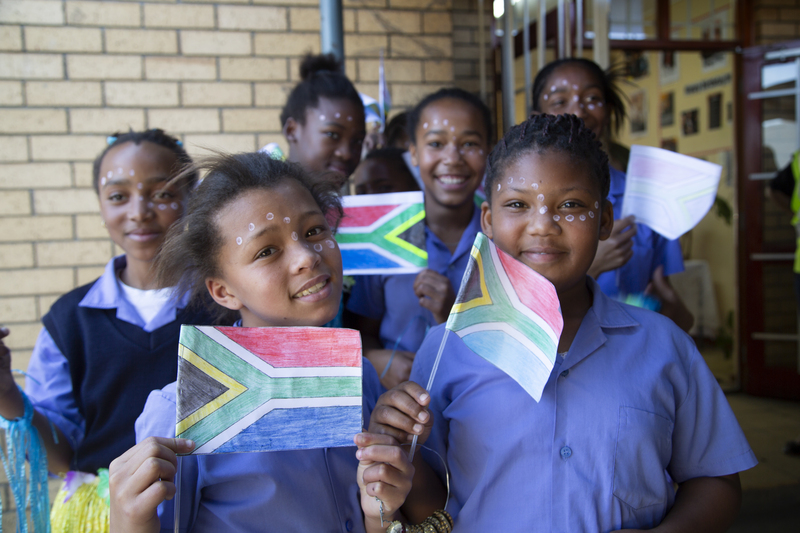 “Mandela fought for our freedom, freedom means we can do anything we want,” said one of the learners, Henricia Strauss (12) who is in Grade 6. De Lille encouraged the children at Uitsig Primary to embrace their hard-won right to vote when they are older and said she knew that they would vote for “the right party” when the time came. “Today we are doing our part to continue his legacy and carry on the work started by Tata Madiba in serving the people and especially the children of our beautiful country,” said de Lille.